The average small business is set to spend around $75,000 this year on digital marketing, so it's essential for businesses to find ways to cut back. Local optimization is one of the best ways to get a good ranking in search results and to build a local following. 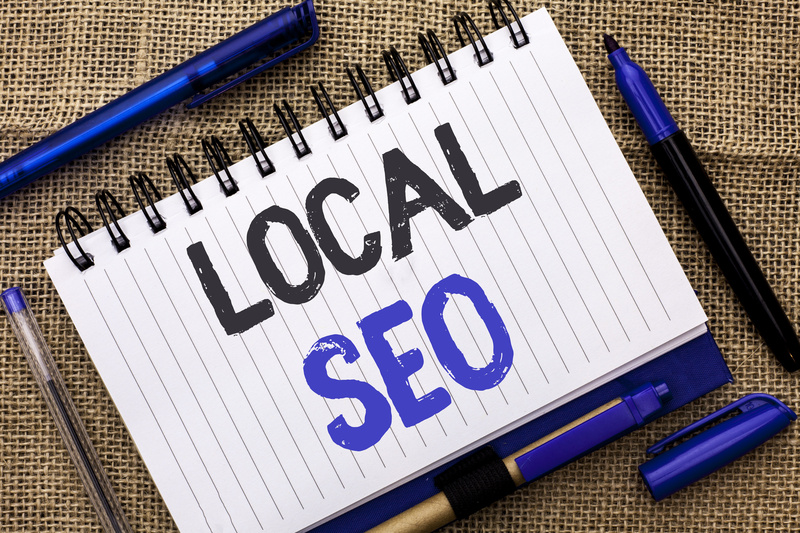 Local SEO is your best bet to ensure that you can save money on marketing while growing your audience both online and offline. Here are five tips to help you dominate local search this year. When your customers use a search engine, they're either looking for a specific product or the answer to a question. The value of a blog is the ability to take advantage of both types of searches by giving the answer to questions with your products and services as the solution. Starting a blog is easy and doesn't cost very much. On your blog, you'll get to talk about the way that you service your region with products and services. You'll get to write about local events and how you participated in them. Starting a blog is easy but requires you to update it regularly. If you don't update your blog regularly, you'll tumble in the search engine rankings. If you're searching for what to write about, start by making a list of your company's most frequently asked questions. Make each question as granular as possible then turn your responses into 500-word articles. Mention your company or your products at the end, and you'll be able to convert readers who happen upon your writing into customers. All across the internet, search engines and business review sites offer the opportunity to list your products and services. In the absence of traditional phone books and directories, business listings have taken their place. Business listings offer more opportunities than phone books ever did. You can add photographs of your products and services as well as details about your business. Claim all of these online listings so that you can ensure your name is spelled correctly, hours are listed, and contact information is correct. If you don't take advantage of your business listings, you'll leave yourself open to getting negative reviews for similarly named businesses. When you search for "pizza" on search engines now, you don't get a dictionary definition of pizza. Your first results will be for pizzerias located close to where you are. Search engines use GPS data, user accounts, and cookies to locate their users and offer the most relevant results. Search engines are doing a lot of the heavy lifting in recommending businesses to their customers. Business listings might be some of the first results offered to people searching for businesses like yours in your region. In a world where restaurants live in fear of negative reviews, it's important to take reviews seriously. One negative review could damage your online reputation enough to turn off customers. For small local businesses competing with major retailers or service providers, local searches are essential. Contact your most loyal customers to get them to write reviews about your products and services. Having a few positive reviews to buffer the odd negative or less than stellar review will keep you ranked highly in local searches. If you want to be at the top of local search results, you need to be known as an important local business. While it might seem shallow, online search results matter. How you look to your local audience online matters. By getting lots of positive reviews, you'll ensure that you're well respected locally. Local directories are your best tool for getting a strong local search ranking. Your reviews will factor into how high you're ranked and can help you maintain a strong local profile. While keywords are no longer the number one factor that search engines pay attention to, they still have value. Search engines downplayed the value of keywords in search results because of the frequency that bloggers and writers would try to spam pages. However, if you use your most important keywords alongside local terms, you'll rank highly. Mention your location in your blog posts. Do it naturally, as most search engines use tools that search for intent. In an effort to cut back on spammy writing, search engines now make sure that your writing makes sense. Don't just mention your address. Name nearby highways, landmarks, and geographically significant spots. If you're near a lake, a popular vacation destination, or a major city, mention that as often as possible. That way when customers search for products and services from your region, you'll be at the top of their results. Building a strong local base is essential to building a business that's stable. On every webpage, there is a nest of undisplayed data that you can take advantage of to help search results. For every image that you post, there's a title tag that can be populated with local search terms. Instead of just writing , you could write . When search engines find this, they'll slot you into being based in Brooklyn, that you sell pizza by the slice, and that you might be traditional Italian. Rather than leaving search results up to chance, you can get your local audience excited and target them more directly than ever before. If you learn more about how to engage with your local audience, local optimization will start to come naturally to you. You'll be able to communicate the type of business you are to the audience who needs your services the most. Instead of having to struggle to get attention from customers, you'll show up in even broad searches that are run in your neighborhood. If you want to learn more about the benefits of SEO in general, check out our latest guide.